Woodworking is a hobby that you can get start with relatively easily. Still, you will need to invest in some basic tools and supplies. Novices often commit the mistake of going for fancy machinery and accessories that are expensive but not really necessary. 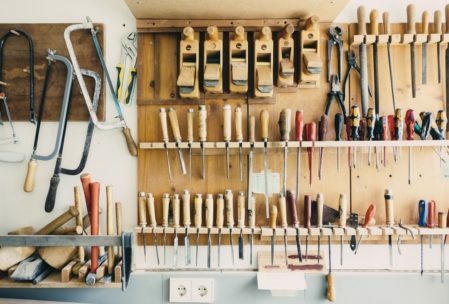 The following list of the top 7 essential woodworking tools for beginner carpenters sheds some light on the options required by everyone interested in carpentry. 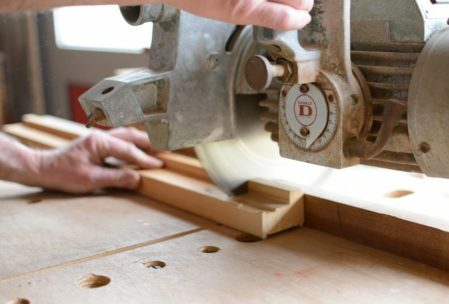 The circular saw is needed by those interested in carpentry, as well as the individuals who plan to do finer and more intricate woodworking projects. Of all woodworking tools, this is the one that’s probably most versatile, especially when a handheld circular saw is being considered. The accuracy level is very high, even in the case of a carpenter who doesn’t have a lot of experience. A handheld saw is also ideal for the projects that can’t be tackled through the use of a table saw (like cutting fiberboard, for example). Circular saws are particularly beneficial for rough dimensioning, cross-cutting and edge straightening. The power drill is the next tool on the list of the top 7 essential woodworking tools for beginner carpenters. You need both a good power drill and all of the bits that could potentially come in handy during your carpentry endeavors. Whether you go cordless or you choose a corded drill is entirely up to you. Some find the cordless drill to be more practical because it will allow the carpenter to move around freely. This convenience, however, could come with a power compromise and the need to have a couple of spare batteries available and charged at all times. As a beginner, you may also want to opt for a cordless drill because it’s less expensive. As you gain a better idea about woodworking and whether you’re going to do it frequently, you can invest in something a bit more advanced. Power tools are absolutely great but a beginner carpenter will also need a couple of old-school options. Handsaws rank among the biggest essentials. They are used for rough dimensioning and there are two primary options – rip and cross cut panel saws. Learning how to use a handsaw is relatively easy, once you understand the main differences between the varieties. A rip saw cuts along the grain in a manner similar to a chisel while the cross cut saw is more like a knife in terms of final outcome. 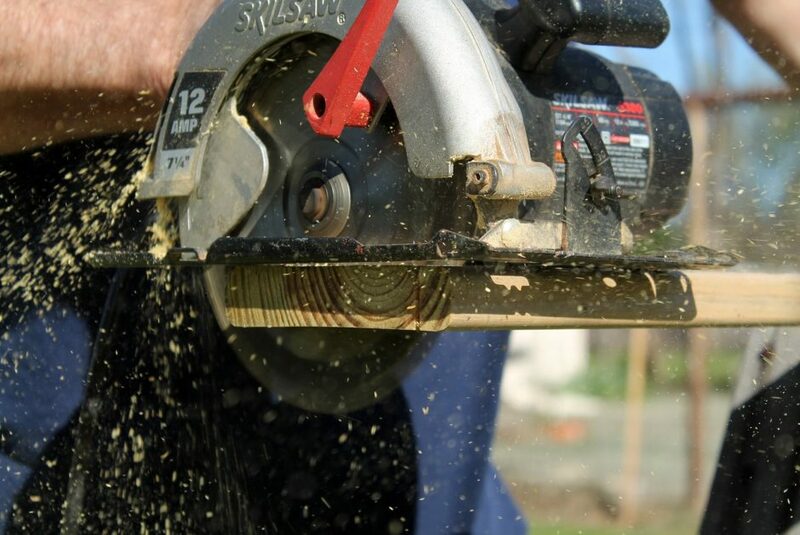 Apart from the standard panel saws, you may also want to invest in back saws. These are required for finer work and they allow for a much higher level of accuracy. The main varieties are dovetail, carcass and tenon saws. A sander is a power tool that can get the job faster than sanding paper and it also allows for much more versatility in terms of finishes. An orbital sander, for example, uses discs and it sands in patterns (unless it’s a random sander). Beginners can choose between both of these possibilities. 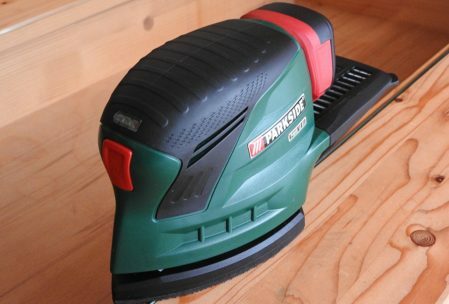 The random sander comes with the benefit of a reduced risk of marks appearing on a certain part of the board because of excessive sanding in one spot. The third variety out there is the belt sander. 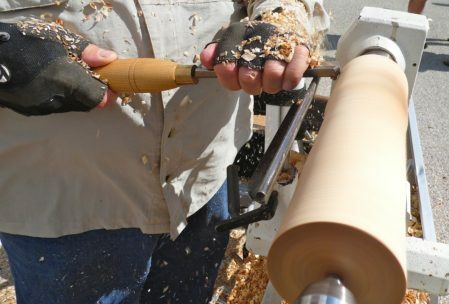 A belt sander is great for smoothing large flat surfaces. It’s a heavy tool that comes with a lot of force, which is why it can be great for tougher jobs. When shopping for an electrical sander, look for a tool that has a dust collection bag. This way, the final outcome will be a lot cleaner. As far as tools for woodworking are concerned, this is another old-school essential. Even the most modern of carpenters and woodworking professionals/hobbyists need a good, old chisel set. There’s no need for an extensive explanation but chisels are required when getting started with woodworking. A good set will usually consist of anywhere between five and seven pieces. More expensive chisels sets are the bevel edge variety. Beginners can also find good chisels with plastic handles that are ideal for the first few projects. Back to the Future: Is a Block Plane Essential? Block planes are so important that traditional carpenters will never go anywhere without them. A block plane is often overlooked by hobbyists, regardless of the fact that it can be used for chamfering, cornering, smoothing away machine marks left by a saw, easing edges and tackling end grain cuts. At the same time, the use of a block plane is very simple, even instinctive. It’s a compact tool that can be taken everywhere. Old-school varieties were made of wood but there are high quality, very durable metal block planes today. The final entry in the list of woodworking tools is the electrical jigsaw. A jigsaw is great for cutting both curved and circular patterns. Jigsaws can also cut straight lines and just about everyone can handle them, regardless of experience level. One other benefit is that the jigsaw can cut a lot faster than the handheld circular saw. They’re perfect for small workshops and other tiny places in which hobbyists are likely to practice the new craft. A final amazing advantage is that unlike other saw varieties, this one can begin cutting in the middle of the board. Nothing could be more exciting than trying carpentry and your creativity without the involvement of professionals. To make your first steps, however, you will probably need detailed joinery plans. Beginners need several kinds of information to make the most of every opportunity. For a start, a good woodworking plan should feature information about the required tools and supplies. Step-by-step instructions will also keep novices from skipping one of the essential processes. The following guide will acquaint you with the top 5 woodworking plans sources. Without further ado, here’s where you can find inspiration and practical suggestions for your upcoming carpentry projects. Ana White’s website features detailed instructions for the execution of various projects that both novices and more experienced woodworking enthusiasts can excel in. The plans exceed 1,000 and they’re organized by cost, by skill level, style and room. Some of the easier starter projects include a work bench, a farm table and a birdhouse, for example. Projects for more experienced carpenters are much more sophisticated. Some of the possibilities include a farmhouse bed with storage drawers, a storage shed, a sofa with additional storage and even an entire set of DIY kitchen cabinets. Every plan is provided with a shopping list focusing on tools and supplies, general instructions, diagrams YouTube videos and pictures of actual furniture/wooden items made following the specific joinery plan. Our list of top 5 woodworking plans sources has to include Joinery Plans – a website that comes with over 25,000 plans. Every single plan is provided with a detailed list of required materials and tools, a cutting schedule, a step-by-step guide, photographs, diagrams and additional instructions. The plans are suitable both for novices and more experienced carpenters who want to get excellent results every single time. There are thousands of projects that can possibly be completed by following the woodworking plans. A few primary categories to mention include tables (dining and coffee tables), cabinets, bookcases, baby cribs, beds, bedroom furniture, storage solutions, decorative solutions and sheds. The Woodsmith Shop has a website, a magazine and a television show. Anyone interested in the hobby or in professional carpentry should definitely give the content a try. The website features video guides, downloadable woodworking plans and articles about tool selection, useful tips creating different kinds of furniture and advanced techniques. As far as the free woodworking plans are concerned, these are organized in several categories. There are benches, living room furniture, dining room furniture, workshop storage, bedroom furniture plans, home office furniture and various others. Every plan provides a list of required materials and tools, step-by-step instructions, diagrams and charts. Cutting patterns could also be included upon necessity. While this website doesn’t come with the level of plan details that some of the other plan sources provide, there are still some pretty exciting projects to find here. The Spruce features free of charge joinery plans, as well as articles that beginners can find helpful. There are instructions about getting started with woodworking, choosing the right tools and mastering work with different kinds of wood. As far as the plans are concerned, there are thorough step-by-step instructions and diagrams. Some of the plans may feature needed tools and supplies but others will miss such information. Such inconsistencies make The Spruce a nice backup option if you’re looking for some inspiration, rather than a primary source of easy to follow plans. Jay’s Custom Creations is somewhat reminiscent of Ana White’s website. Started by a DIY enthusiast, the website currently features 52 free of charge woodworking plans. Every plan is provided with videos, diagrams, step-by-step instructions and a list of supplies. The diagrams and the videos show Jay actually working on the respective project, which makes it easier for other DIY carpenters to follow through with the project. Some of the woodworking areas that Jay’s plans focus in include benches, tables, chests, cabinets, chairs, bed bunks, souvenirs and small items. 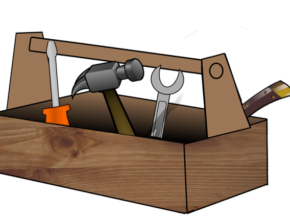 Apart from the plans, the website features a tools and resources section that contains a lot of practical information carpenters and hobby enthusiasts may find helpful. These are just five of the possibilities you’ll find out there. Doing some simple online research will reveal dozens of other woodworking plan sources. When choosing the right one, always make sure that the instructions are clear and easy to follow. Otherwise, you’ll be stuck with a project that you’ll either find impossible to finish or that you’ll be confused by. On occasions, going for premium content will make a lot of sense because it will save you both time and money. Working on a woodworking project with your kids can be a fantastic way to spend time with them. Sharing your passion for this hobby is also a great way to jumpstart their skills and give them the opportunity to practice. There are so many options for furniture plans, toys and wood building projects for kids that require a broad range of skills and tools. Here are three easy and cool wood projects that will start them on their way. What better first project is there than a toolbox. Measure 3 1/2″ from one end of the cut 1×6 and mark a line across the board. On opposite side of board find the center, mark, and measure 2 inches down and mark with a pencil for the dowel handle hole. 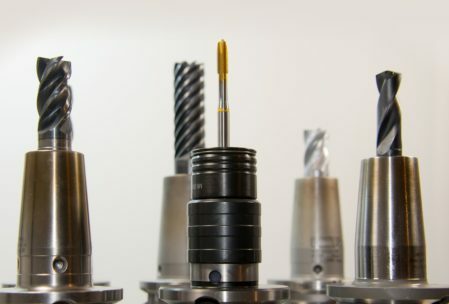 Using 3/4″ drill bit, drill hole for doweling. Next, mark one and a half inches on either side of the previously marked center line above the hole. Repeat on the other end board. 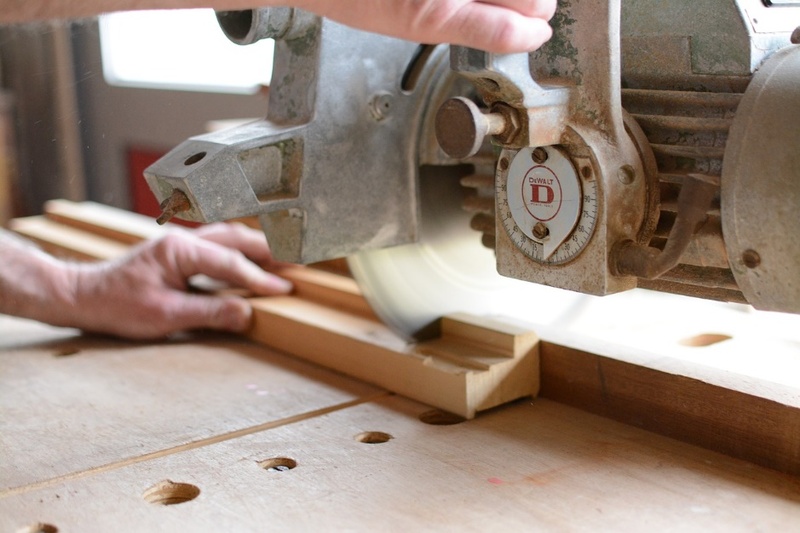 Cut two 10 1/2″ lengths of 1×4 for the sides. Make sure all of the pieces fit together. Using wood glue and the 1 1/4″ nails, attach one side piece to an end piece. Repeat with the other side piece. Glue dowel into the attached side piece. Attach remaining end to the side pieces with the same nails and wood glue. Attach the bottom piece with the smaller nails and wood glue. Painting or varnishing the assembled toolbox is a great way to personalize it. Making a frame and including it with a special photo can make a great gift. The following plan works great for a 5×7 photo. If you need a bigger one adjust the sizes accordingly. Measure and mark lines to cut construction paper into 8″ x 10″ piece. TIP only mark up one side of construction paper so there will be one clean side once mat is done. Set photo on construction paper piece and trace lightly with a pencil. Now cut out an inner rectangle to leave a rectangular strip that is 8″ x 10″ on the outside and 4 1/2″ x 6 1/2″ on the inside. Cut two 8 1/2″ pieces of 1×2. Cut two 9″ pieces of 1×2. Stain or paint as you please. Once dry, Place one 8 1/2″ piece under a 9″ piece as if you are making a box, and attach with nails and wood glue, nailing down through the 8 1/2″ piece into the other piece of wood. Attach the other 8 1/2″ piece. Attach the remaining 9″ piece. Place the photo on the mat and attach with tape, taking care to place it on the correct side. Staple the mat to the back of the frame so that the photo is visible from the front. A great way of learning bigger concepts is to do hands-on projects. This boat can show the basics of how historical paddleboats function. It is a great example of a cool wood project and is also a fun toy to play with whether in a pool, lake or bathtub! Cut notch in the back of the boat for the paddle. Keep at least 3/4″ on either side for support. Now cut the 1/4″ wood pieces into identical sized rectangles slightly smaller than the notch on the boat. Cut a notch on both pieces about half way across the width, with the notch the same width as the wood itself. Slide the notched wood pieces together. Put a rubber band across the notch in the boat. Place paddle in the rubber band and wind it up! Safety is always paramount when working with tools, but when there are children in the shop, you must be even more deliberate with your safety considerations. Proper eyewear and using the provided guards on power tools are two examples that are a must when building wood projects with and for kids. When you pick a project, consider the required skills but from there have your kids choose the one that gets them excited! There are plenty of options for great toys, cool wood projects and even some easy furniture plans they can try their hand at.